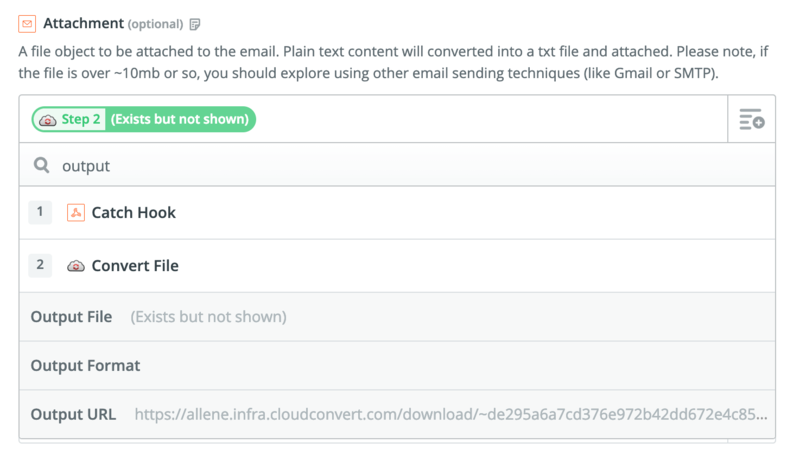 Stillio lets you create custom email scenarios by using Zapier. Converting the original PNG-image screenshot to PDF requires an account with 3rd party service that handles the conversion. 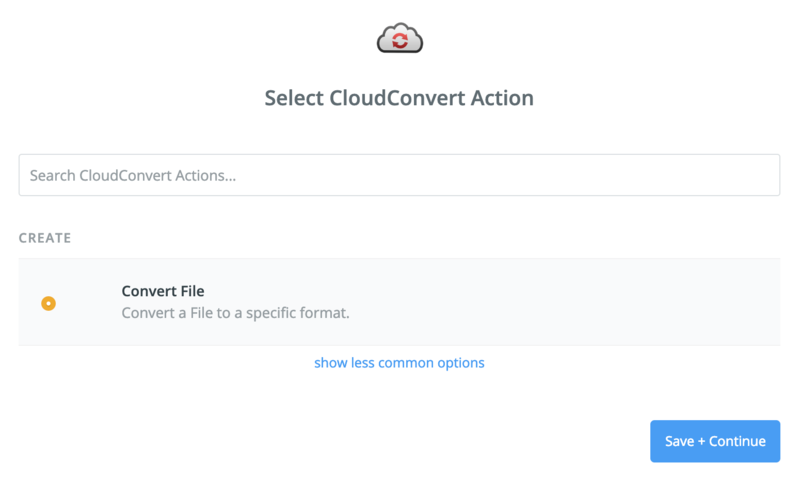 For the example below, we used CloudConvert (check their pricing). The first action we need is the conversion from PNG to PDF. As the web is ever expanding and evolving, multiple apps may be available for this task. 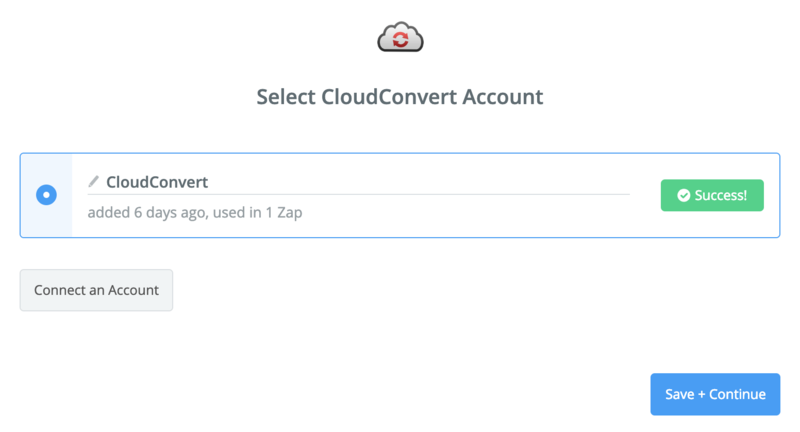 For now, we choose CloudConvert. Select "Convert File" and click Save + Continue. 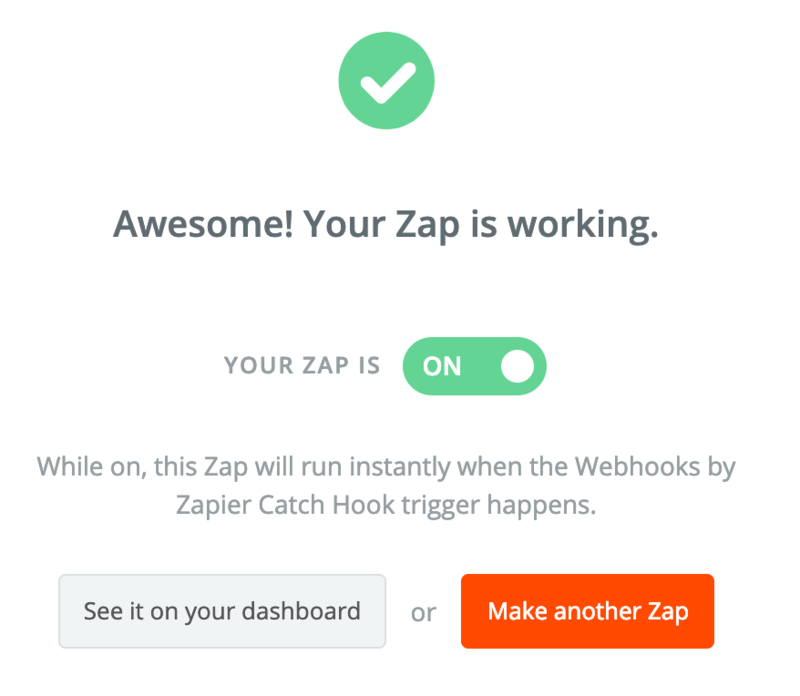 After finishing this step, we're not ready yet to activate this Zap as we need to add the second step: Email. In the bottom left of the screen, add a new action by clicking "+ Add a Step" and select "Action/Search"
The Subject and Body fields can be set as desired. You can also use values from the "payload" in the Trigger as shown above. In this example I used the field that shows the hostname in the Subject and a link to the original file in the Body. 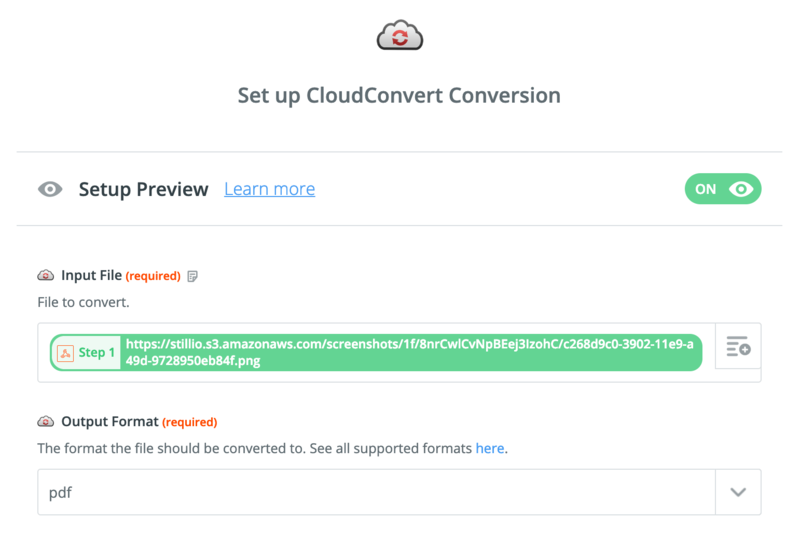 For the attachment field you use the data from step 2 (Convert File). Select the field Output File. ⚠️ With Zapier Email there is a maximum attachment filesize of 25MB. However, the Attachment field in the template indicates that alternatives may be better when your file is over ~10mb. Alternative options to reduce filesize may be available but are not supported by us. 🎉 Congratulations! Your Stillio screenshots will now be emailed to you as PDF files.